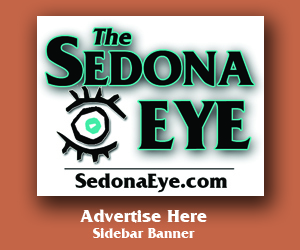 Sedona Eye » Does Sedona Need a Revival? Home » From The Readers, Letters to the Editor » Does Sedona Need a Revival? Does Sedona Need a Revival? 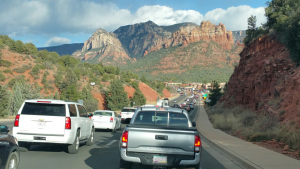 A recent ADOT traffic study found the majority of Sedona traffic backs up for miles only to drive through the city limits on its way north to the Grand Canyon or south to Phoenix. I remember my first trip to Sedona from Paradise Valley in 1961. Long drive by when the family saw the Red Rocks from a distance……we all were spellbound. There was not much to see past the Red Rocks. 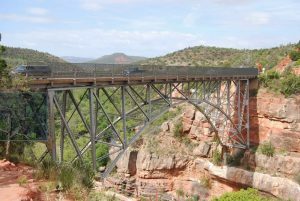 We passed thru Sedona downtown…..an eye blink for sure………and headed across the bridge towards Slide Rock and Oak Creek, the Chipmunk Lodge I believe. We stayed in an old cabin, spent two days fishing for small rainbow fish from shore and my mom frying up the few trout we caught in a black cast iron skillet. Fun trip. As the years went by, I traveled to Sedona many times. Usually to gaze at the Red Rocks, do some hiking and of course fish in Oak Creek and of course take the risky mountain road up to Jerome for a burger and drink. After awhile the trip became longer and longer mentally, the roads were crowded going to and from Sedona. Truck traffic became unbearable. Most car’s drivers acting like their vehicles were race cars, do the speed limit and you got run off the road. 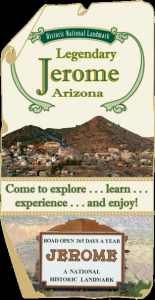 When I started my career for earnest, I took many of my out of state customers to Sedona. Of course I had to take them on weekends…sharing the highways with hundreds of day trippers speeding to get there, see the rocks, purchase a few trinkets or crystals and then drive back to Phoenix proper. Whew, long drive for a few photos and overpriced burgers or limp salads. Some of my well heeled customers wanted to stay in nice accommodations and that in itself was a mental voyage. There were not many nice rooms available unless you made plans weeks in advance. And the check-in times were so late in the day that there was not much to do other than shop for tourist items until your room was available. You couldn’t hike because you didn’t have the correct clothing or shoes on, so the better part of a day was almost wasted. I do like to shop and find items that are representative of the local area and Arizona. Of course the Indian jewelry was pretty and somewhat overpriced. The custom shops relied on the winter tourists to make most their profits. Day trippers purchased trinkets for the most part. Why am I boring you with my drivel? Because I see Sedona as a day trip, not a destination for most visitors. A stop on the way to the Grand Canyon or maybe Flagstaff. I see the drive from Phoenix as a destruction derby of sorts. Speeding cars, truckers driving with their hair on fire, honking their horns at drivers in the right lanes, all driving the speed limit, of course. Time means money for truckers, but I do like safety and enjoyment of the scenery on my drive. That’s impossible with the current high speed limits. Sedona needs a major face lift to attract the customers that love to spend money and stay a week or more in Sedona proper. In the summer Sedona needs the day trippers, the snowbirds who spend the big dollars don’t arrive in AZ until October. If the hot weather continues to last until November, the snow bird season for Sedona gets shorter and, of course, so does the revenue for the local hospitality market, restaurants and shops. I hear it all the time. Same old place and, yes, the Rocks are beautiful but is it worth the drive? Sedona depends on the tourism industry. Times are changing. The well-heeled tourists from abroad now have so many destinations to chose from. Time is their enemy. And yours. Sedona competes with the Grand Canyon, Monument Valley, San Diego, Palm Desert, Las Vegas, Lake Powell and Scottsdale. This list is in random order. The other day I was speaking with a gentleman who in past years was involved in local Scottsdale government. He was so excited that Scottsdale was for the first time in years attracting major hotels entities to build in downtown Scottsdale, in the Old Town area. These are not condos, but hotel rooms that command top dollar. Construction has already passed the zoning committees on nine of them. Why so new rooms in sure short order? THE SUPER BOWL IS COMING. BACK TO PHOENIX. This event is a Mecca for the rich and famous! These thousands of Super Bowl fanatics want to come to sunny Arizona, enjoy all the great restaurants that are available to not just the local crowd, but to all those hungry fans and their families. This is a great time for a family vacation also. Dad gets to go to the game, family gets to shop at brand name luxury stores, eat in fantastic restaurants and have all the night clubs, bars, gambling establishments and music venues you could possible hope for…something for the entire family. You can choose from Scottsdale, Phoenix and Glendale to warp out your credit cards. Midgley Bridge on SR 89A north of Sedona city limits. The Red Rocks aren’t washing away. But Sedona, as a major destination, is waning in the eyes of many. The tourists of today wear many colors and faces. They want excitement, and yes, for some a relaxing place to gaze at the Rocks and take some wonderful hiking trails. There should be room for both…an exciting vibrant destination for Arizonans and tourists from around the World. In my not so humble opinion Sedona needs a new marketing plan that will require investment by the City of Sedona and its Cottonwood, Clarkdale and Jerome neighbors to maximize the Sedona experience one to remember for a few decades. I do recognize that some of Sedona’s local residents want to keep everything as it is today. But Sedona is aging, as are many of its residents. They want maximum value for the homes and businesses. Parents want excellent schools and a junior college system that prepares their children for the ever changing world. All this takes is people with foresight and a workable master-plan to attract the revenue necessary. Sedona must have the infrastructure for which commercial investors can develop and build new named resorts, recreation facilities, restaurants, major custom retailers from around the world, a dedicated arts and crafts facility. Sedona has another opportunity that it must realize and put into action immediately. 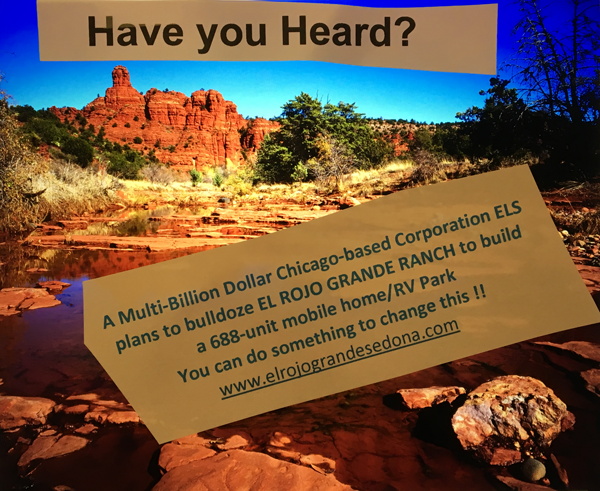 Sedona needs more land to expand. I’m not a developer, a land management or master-plan individual, just a man who loves Sedona, but I’m well traveled in Asia, Europe and Latin America…and they are pursuing the well-heeled tourist with gusto. They are doing this with U.S. dollars, interest rates are low for commercial interests, but that is changing. The U.S. is awash in dollars, companies are investing in infrastructure in many local cities. Just gaze at Las Vegas, the Grand Canyon, Phoenix and Scottsdale. The Sedona Chamber of Commerce, in my opinion, needs to attract individuals and companies that know how to observe what Sedona has today, what Sedona does well and most importantly, what needs to change in short order to make it a viable destination that will attract the revenues that will not be on the back of homeowners to grow the city. 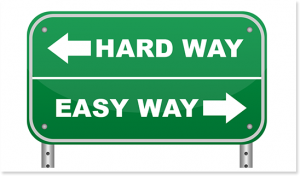 If you provide the basic infrastructure the secure business partners will flock to your offerings. Sedona cannot be held hostage to increasing fuel prices or even fuel shortages. This has happened a few times over the years and nearly destroyed the real estate market and many businesses failed. The California and Asian, European tourist has many choices as to where to spend their money. Will Sedona be the city that meets their requirements? I hope the citizens take a good look into our ever-changing crystal balls and make wise decisions to select the people that reside in Sedona that will make wise and timely decisions concerning the fate and livelihoods of so many nice people that consider Sedona their home. I grew up in Scottsdale/Paradise Valley. I watched downtown Scottsdale start to crumble, subject to bad zoning decisions, patch work building designs, and no real master-plan. I believe Scottsdale saw the handwriting on the wall and decided it must take change of its destiny……. John, so in essence, you want to make Sedona look just like all the other tourist destinations? Sedona actually has an overabundance of tourists and plenty of revenue generated by them. This will be the first year in a long time that the Chamber of Commerce is cutting back on external marketing to help curtail the flow of visitors. Yes, we could build more hotels (which they actually are) and restaurants — as we don’t have enough Applebees, Chilis, and big box shopping; then we’ll look just like the rest of America, but with very nice trimming in red rock form. No thanks! 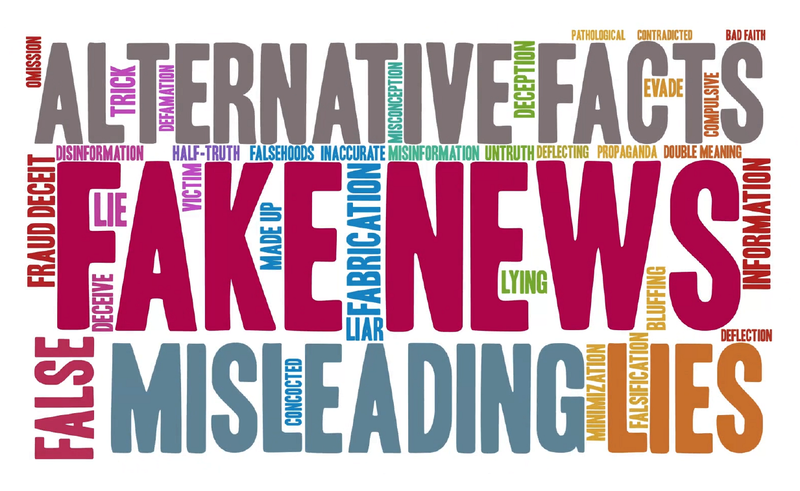 Thanks for a point-of-view NOT promoted by the Sedona Chamber of Commerce or the Sedona Lodging Council (for the benefit of Sedona’s hotel industry) who would ask us all to believe that there’s nothing wrong here whatsoever. So far, we’ve not had even a smidgen of Scottsdale’s foresight. The problem with trying to make Sedona like Scottsdale, is somewhere you have to put the six to eight lane road with two left turn lanes. Even if that works through West Sedona, you hit uptown and the canyon and you get a backup. You can’t have unlimited growth in a geographically limited area with nearby mountains and forest wilderness. Everywhere can’t be paved in a one mile square grid with 6-8 lane roads. Some things are worth preserving. I think Sedona is one of those things. Please Vote NO on Home Rule and NO to all incumbents. It always makes me wonder why people who don’t even live in Sedona have so much to offer about how it should be changed? It’s bad enough for those in control attempting to turn it into a Palm Desert or Scottsdale. But someone like you, John Wiedman, who lives in Ahwatukee, AZ seem to have a lot to say about what Sedona should or should not do. Why is that? Seems like maybe you should write about the virtues of Ahwatukee since that’s where you apparently prefer to call home. Because John Wiedman from AlhwTukee AZ. Is one of the usual malcontent posters on SE faking it up as the person you referenced.. But, then, Segner…Jennifer W., the entire lodging industry, and the incumbents who’re about to lose the upcoming election have the most illiterate and most hated little influence-peddling guy in Sedona speaking for them (that would be YOU in case you don’t get it). That’s worth much more than money to your opponents who care more than you ever have about Sedona. Impartial observers/visitors who recognize what makes Sedona less and less livable, like Mr. Wiedman, aren’t the problem here…but YOU are! Good take on difficult issue. What exactly are Democrats resisting?